With the holiday season upon us, we felt that a cookie recipe was in order… This one incorporates coriander seeds – the fruit of the cilantro plant. Cilantro is super easy to grow, and really productive for those who want to harvest seeds. Our Coriander Cookie Recipe produces very crisp biscuits with a mild flavour that begs to be enjoyed with a hot cup of tea or coffee. They store well and remain crisp for weeks. In a small saucepan, stir the sugar and water until the sugar is almost totally dissolved. Place over medium heat and bring just to the boil without stirring. Set aside to cool. Preheat the oven to 165°C (325°F), and grease two baking sheets. In a food processor or mixing bowl, combine the flour and butter. Use the pulse setting on a food processor or a pastry cutter in a bowl. Add the salt, baking soda, and coriander powder, and mix thoroughly. Add the syrup to the dry ingredients and continue to pulse to mix. If the dough does not seem firm, add up to a further quarter cup of flour. Pour the dough out onto a lightly floured work surface and divide it in two pieces. Wrap one piece in plastic and set aside. Roll the first half to 5mm (1/4″) thick. 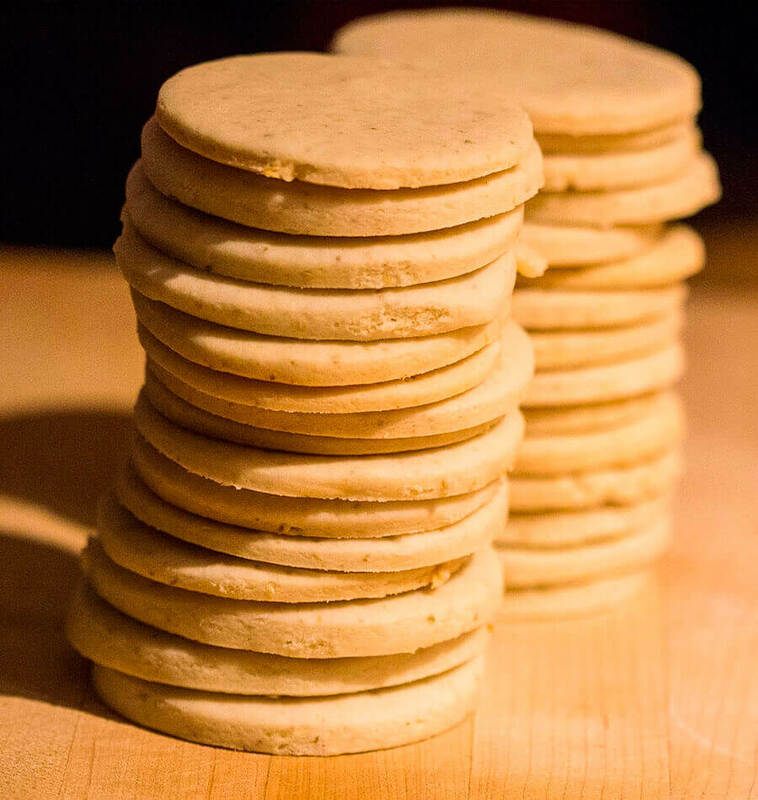 Use a cookie cutter (we prefer a 3″ circle) or fine glass to shape cookies. The excess dough can be re-rolled only once — after that it gets tough and unappetizing. Place on the baking sheet, and bake for 15 minutes, or until the cookies puff up slightly. They will not brown unless you add an optional egg wash before baking. 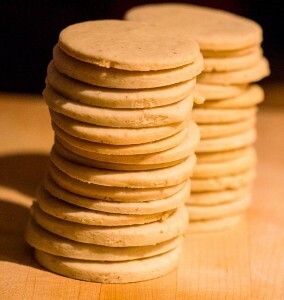 Continue and repeat with the second half of dough, and bake in one or two batches according to space on the trays. After baking, use a spatula to move the cookies to a wire rack until completely cool. Store in an airtight container or zip-lock bag.